Home » Firearms » Why Are You Lying??? 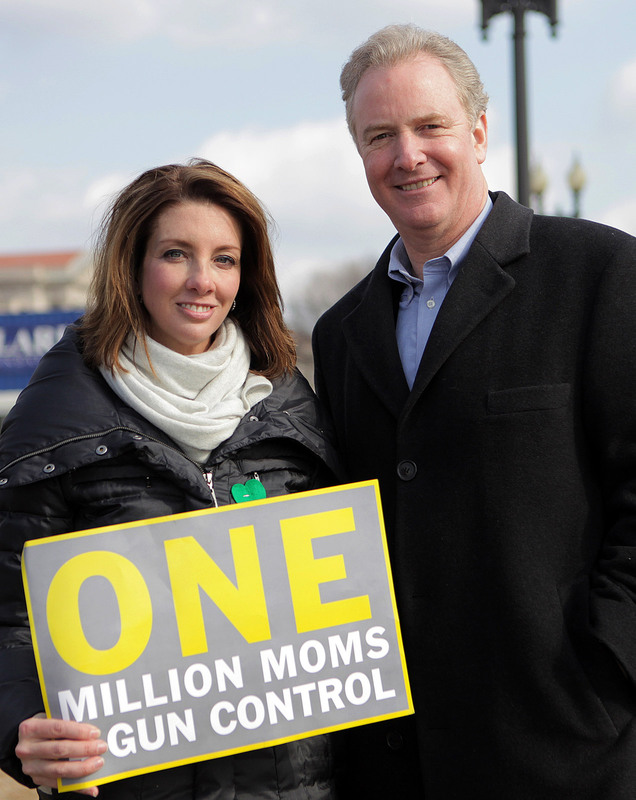 Moms Demand Action for Gun Sense in America are at it again. They are lying. It appears people are falling for it. The video below features Jennifer Hoppe, who “points out the hypocrisy of banning a candy treat [Kinder Surprise Eggs] to protect children, while not banning assault weapons like the AR-15, used in the Sandy Hook Elementary School Shootings in Newtown, CT in December.” She distributes the eggs in front of the White House while educating passersby on the evil of the semi-automatic rifle. The video clearly shows her handling the “illegal substance” while telling us they are manufactured in Europe. How did Jennifer get those banned items into the US? Did she travel with them? Did she have them shipped here? If she traveled with them and failed to claim them, she could face up to $10,000 in fines and penalties. At a minimum, she could face a year in prison and a $1,000 fine for violating the Federal Food, Drug, and Cosmetic Act. Either way, she could find herself in trouble for merely possessing the food she is shown distributing in the video. She has to be lying. Either she is lying to us and using Kinder’s wrappers on an otherwise legal toy surprise egg or she lied to the US Customs Office in getting them here. I wonder which it is? This isn’t the first time Moms Demand Action for Gun Sense in America have lied to us. They’ve been telling us some whoppers since they formed. Founder Shannon Watts, formerly of Monsato fame, has been using her public relations skills to weave an intricate web of deceit in support of her agenda. She wants us to believe people adjudicated mentally defective can own a gun. Her group posted a video of one of its members making a “prank call” to a US Senator. This “heroin” faked a southern drawl pretending to be from the great state of Tennessee while she thanked him on behalf of all mentally adjudicated persons for protecting her right to own a firearm despite being a psychopath. The FBI’s NICS online brochure lists all of the factors prohibiting firearms possession and relevant statutes governing those prohibitions. You only have to scroll down to the fourth item on the list to see that a mental adjudication prohibits lawful possession of a firearm. 18 USC §922 (g) (4) states that any person who has been adjudicated mental defective or committed to a mental institution is prohibited from possessing a firearm and the entity transferring the firearm to that person is committing a federal offense by doing so. That’s not the only lie Moms Demand Action is telling us. The act of transferring firearms to someone who is otherwise prohibited from possessing them is already illegal under federal statues. Transferring across state lines without a background check is also illegal. 18 USC §922 and 27 CFR 478 both address gun trafficking, although they don’t name the crime as such. The ATF’s webpage on unlicensed persons explains USC and CFR in a way that’s easy to understand. They tell us that nine out of ten Americans support universal background checks. The 90% claim is a lie. The fact is that support for more strict gun control has been trending down since 1990. Gun ownership is the highest it’s been in twenty years, with 47% of Americans reporting they own at least one gun. Even after Tuscon, a Gallup poll found that in general we opposed stricter gun control. Ms Watts is no stranger to twisting facts in support of evil. She helped Monsato, the company that needed its own protection law, with its image early in her career. She later helped Wellpoint mitigate damage to its reputation in 2006 while it answered to a slew of lawsuits. Her work as a gun control activist is no different or less effective. Last year support for stronger gun control began trending back up. Her efforts are putting lives of Americans at risk. She is perpetuating the public health crisis that is gun control. Universal background checks kill people.